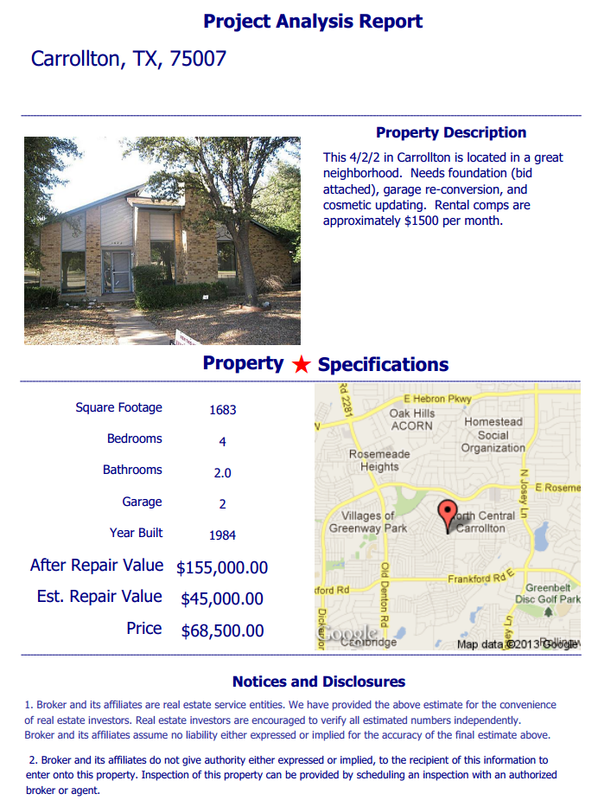 This 4/2/2 in Carrollton is located in a great neighborhood. Needs foundation (bid attached), garage re-conversion, and cosmetic updating. Rental comps are approximately $1500 per month.